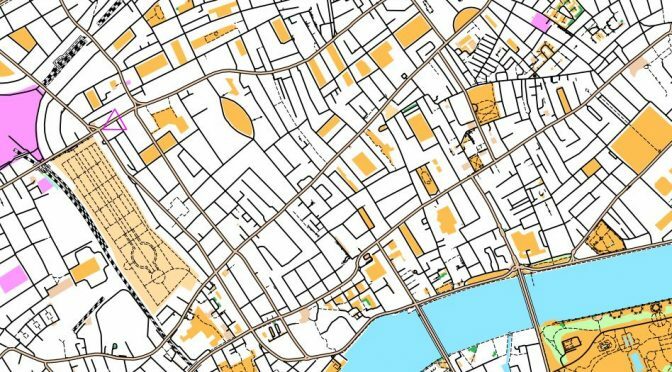 Here are the Race Results and Series Results from Tuesday’s Street Orienteering Race in Brentford. Thanks to Dmitry Adamsky for organising – he comments: “Thank you all for coming and not being afraid of storm Gareth – in the end we had a brilliant weather and I hope that you enjoyed running in Brentford, Isleworth and Kew! 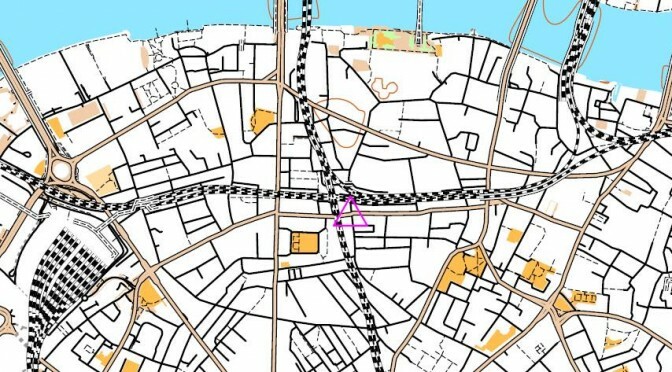 The map scale for this event was a rather unusual 1:15000, the main reason being that I wanted to avoid crossing Great West Road. That leaves a rather thin strip of land between it and the river and unless one includes Kew there is almost no route choice. I hope that you enjoyed the planning challenge resulting from the scale of the map.Special thanks to Andrew Johnson who manned the start and Pete & the whole team of The Black Dog Beer House for hosting us. You might have noticed that there is no shortage of pubs in Brentford. Actually, I used less than half of them and in the past there were many, many more(the event centre is listed there under its previous name The Albany Arms). I hope you can join us at the next Street-O race on 9 April at the Black Horse in Norbiton (South West London), with details to follow shortly. 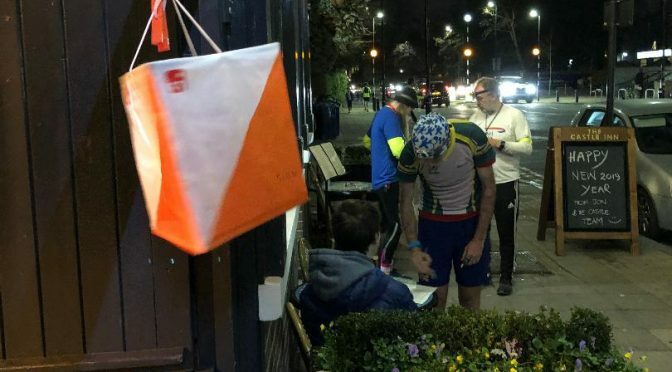 Here are the Race Results and Series Results from last night’s Street Orienteering Race in Ealing. Over 75 runners enjoyed Keith’s great courses in a new area for orienteering! It was a tight fight at the top of the Men’s race with experienced orienteers Nick Barrable, Ed Catmur and (making a cameo appearance) Murray Strain the top 3. Vinh Hoang was top woman, followed by Charlotte Levin and Camilla Brueton. I hope you can join us at the next Street O, organised on 12 February in Kentish Town courtesy of our friends at London OK. This was the last SLOW race before Christmas, but we start again soon after the New Year on the 8th of January in another new part of London – Ealing. See the details here and I hope to see many of you there.